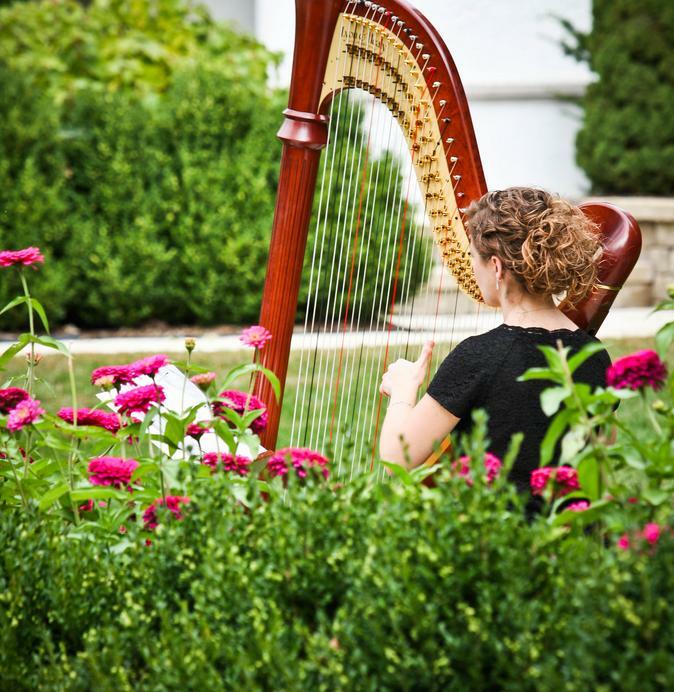 Brittany has been professionally trained as a classical harpist, and holds a DipABRSM in harp performance. She studied privately under Shirley Lukey (Suzuki teacher), Dr. Alison Attar (D.M. in harp performance from Northwestern University), and others. Master class instructors include Liz Cifani (Northwestern University and Lyric Opera of Chicago), Jana Bouskova (Prague Conservatory and Czech Philharmonic Orchestra), Kayo Ishimaru (Jacksonville Symphony Orchestra), Ann Yeung (University of Illinois), and Suzann Davids (Valparaiso University). Brittany is a registered teacher of the Suzuki Harp School, and a Certified Music Practitioner in therapeutic music, having completed extensive training and an internship of clinical bedside experience at a medical facility. Brittany is a wonderful soloist and accompanist. She has beautiful musicality and works so well in an ensemble or as a soloist. She comes impeccably prepared and is a delight to work with!